As a web designer, one of my biggest bug bears is when people tell me that their previous web designer had to make all of the changes, updates, and additions to their website. They weren’t given the login details and/or password so that they could take over the website reins of their own business. And that really isn’t practical for any kind of small business. Because your small business is evolving every day, you’re regularly creating new courses/programmes, and you need to add new testimonials, upload fresh blogs and update your sign ups. To ask your web designer to do these updates every time, may not be quick, or financially viable. Unless you are on a priority retainer with them, they may be busy working on other sites and aren’t going to be able to prioritise your requests, either. So as well as leaving you frustrated, this ‘out of your hands’ feeling is going to stop you from growing your business too. 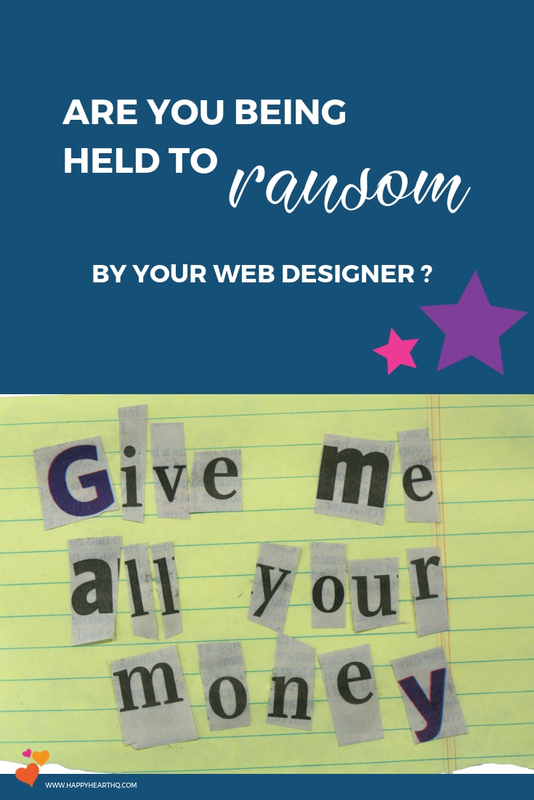 So, here’s some advice if you’re looking for a web designer who won’t hold you to ransom, and will give you full control over your website once they’ve finished the all-important design element. Will I be given the login and password to update my site once the design aspect is complete? Will you use a platform I’m familiar with? Otherwise you’re going to have to teach yourself a whole new skill. I would always recommend WordPress by the way. Can you offer me any video or one-to-one training as part of your service so that when I have control of my website, I won’t have to bother you with techy queries? Will I have to buy my own web hosting? Or will you arrange it and then give me control once everything is set up? Expect lots of questions from your web designer too. They should be asking you about your ideal clients so that they can get a feel for who you’re targeting. They will also need to know about your company – your ethos, your philosophy, your branding, your tag lines, your products/services, your logo, and everything you stand for in terms of a business (such as professional, high quality services aimed at high end clients, or cheap and cheerful targeted at the frugal market). and what you actually want to achieve from your website! Be flexible, honest and upfront from the outset. Don’t be afraid to ask questions, and tell them what you’re looking for. Remember, this is a technical/design service and if it’s completely new to you, ask for answers in laymen’s terms (or laywomen’s in my case) so that you can understand what’s going on without all the techno-babble. Don’t assume the worst if they don’t respond to your emails/messages instantly. Many business owners will only respond to emails once or twice a day otherwise they’d take forever to complete all their projects. Ask to see any contracts they would usually draw up for clients, and read them thoroughly before you commit to working with them. 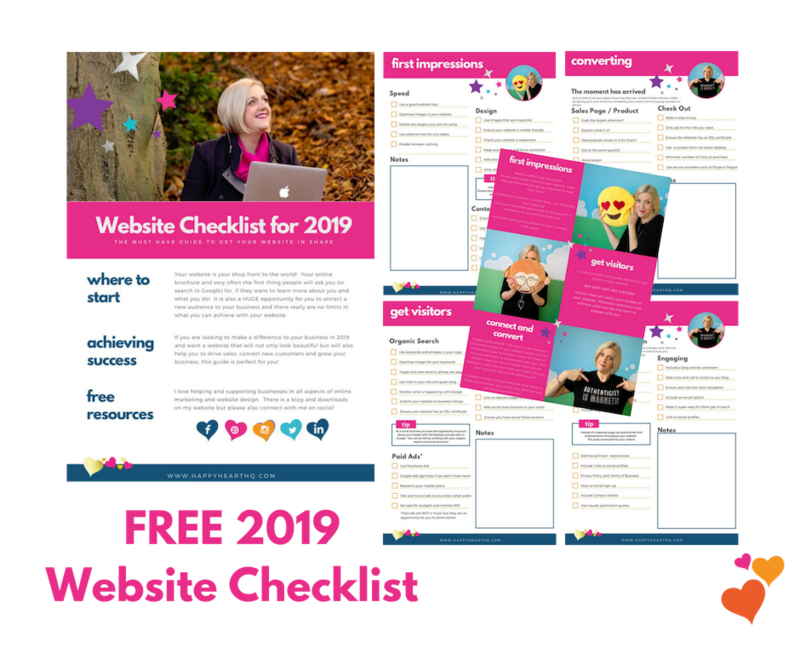 Ask to look at any recent websites and testimonials they’ve received so you can get a taste of their work and decide whether they look like a good fit for you. Don’t just take their word for how good they are. Creating a new website should be an exciting time for you so it’s worth researching potential web design professionals before you start. As always, try and get recommendations from friends/family/colleagues, and always have a chat with a web designer beforehand too – because if you don’t click, chances are the project probably won’t work. If you’re ready for a new website, or your existing one needs some tic, get in touch with me and let’s have a chat! I’d love to help you be happy with your website and I promise, I will NEVER hold you hostage.